﻿Drinking the Refreshing Buko started in Asia. In the Philippines this is known as the WONDER FRUIT. The Buko Juice can help eliminate high blood sugar and cholesterol. It can prevent head pains and migraine. It is good for body waste elimination and replenish body cells naturally. You can find Buko shake everywhere you go. 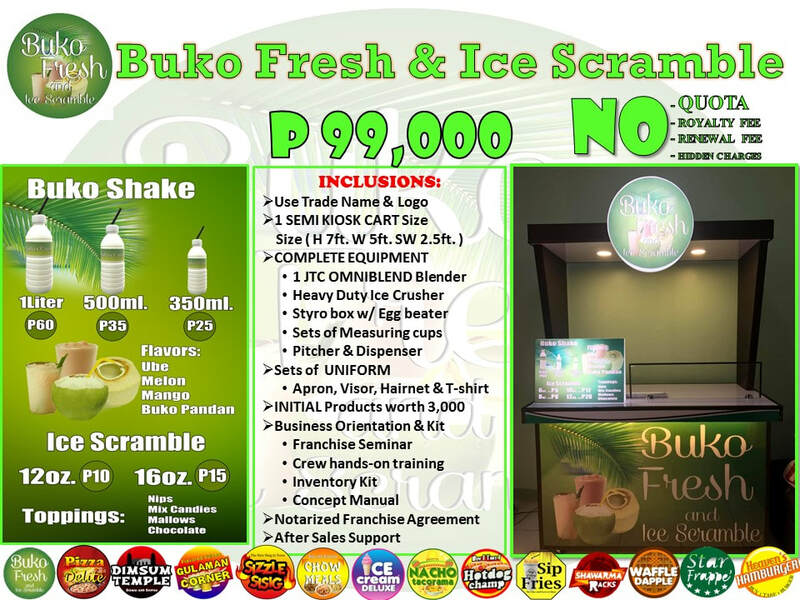 Buko Fresh is not seasonal, people enjoy drinking it on all weather and occasions. Its a refreshing shake & fresh juice. Scramble is shaved or crushed ice mix with caramelized brown sugar, gulaman, topped with milk powder or condensed milk and chocolate syrup. They are also mixed with artificial color to have variety of color. Original flavor is strawberry. This is very famous and popular to Filipino kids. with toppings of choco droplets, sprinkles, marsh mallows etc.